Is your hot tub water green or yellow? Here’s why! 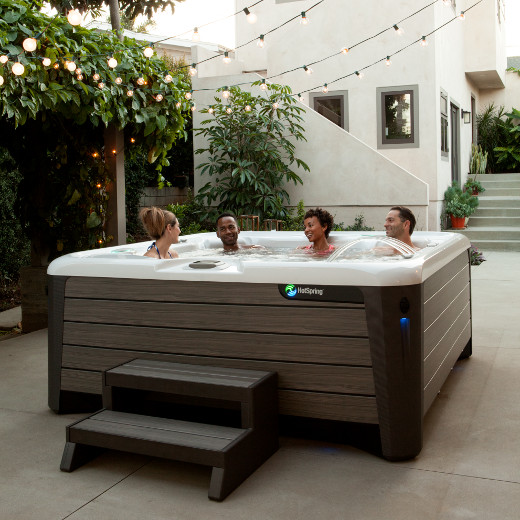 From time to time, the folks at our Service Center and in our stores get an onslaught of customers calling that are experiencing the water in their hot tub exhibiting a green or yellow hue. Relax! There are simple ways to deal with this type of water quality issue when it develops. First off: Why would this suddenly appear? The main reason has to do with metals present in the water—manganese, iron, and rust are the common culprits. When weather starts to get warm, sometimes what ends up coming out of your garden hose will carry these metals, either from pipes in your home or the municipal system. Metals may also become more evident when the change in temperature shifts the water table itself. Most Hot Spring Spa owners have an ozone system in their hot tub, or an ACE Salt Water System which also produces its own ozone. Ozone is designed to rid your water of contaminants, oxidizing them as best it can. When the ozone goes to work, as it’s trying to ride your water of these metals, the water may take on a yellowish or greenish tint. You might also see a ring develop at the water line—metal that the ozone system has successfully precipitated out of your water. Products are now available that actually keep the metals from ever being introduced into your water—certainly a better way to avoid the water care issue altogether. It also limits the number of water care products you need to add to brand new fill water. Give a Pure Fill Carbon Pre-Filters a try. This attaches to your garden hose and effectively filters out suspended solids. The active carbon also helps reduce and remove metals, as well as 99% of contaminants. It is effective for up to 1,200 gallons of water before you’ll need to get a new one. Both of these products will help get that green or yellow water in check! And, if you’re unsure about whether your ozone system is working properly, consider testing it with an Ozone Detection Kit. If your ozone system is no longer effectively operating, consider replacing it today.